PennsylvAsia: Squirrel Hill's Bubble Pi closes again. 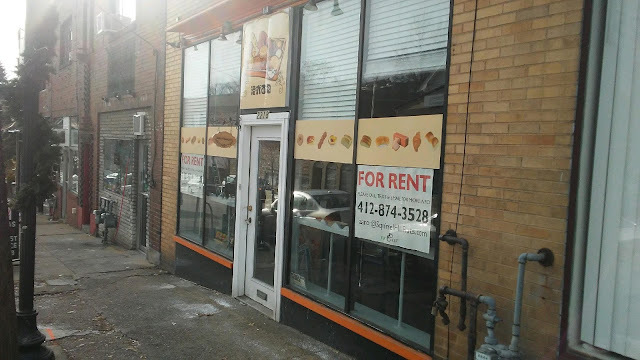 Bubble Pi Baking Arts, the first Asian bakery in Squirrel Hill, has closed again. The Taiwanese bakery opened in 2007 at 2218 Murray Ave. and was joined on the same street by Korean bakery Sumi's Cakery in 2011 and Taiwanese bakery Pink Box in 2014. Its original iteration closed in May but reopened a couple of weeks later under new management, but the second version kept irregular hours and a limited menu.